Multimedia Projector Maintenance APS provide repair and services for all multimedia projectors (LCD projectors and DLP projectors).Projection Screens Plasma TV, LCD. 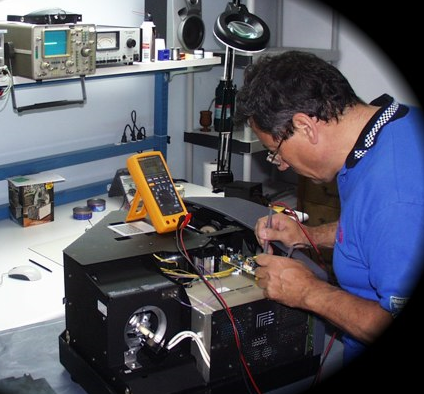 TV and LCD Monitors, Our certified technicians are repair and service multimedia Projectors of any brand. Our technicians will provide you with timely diagnosis of the problem, and estimate for repair and return your projector as soon as possible.